Today I added a couple more coffee pots to my kitchen coffee themed vignette. 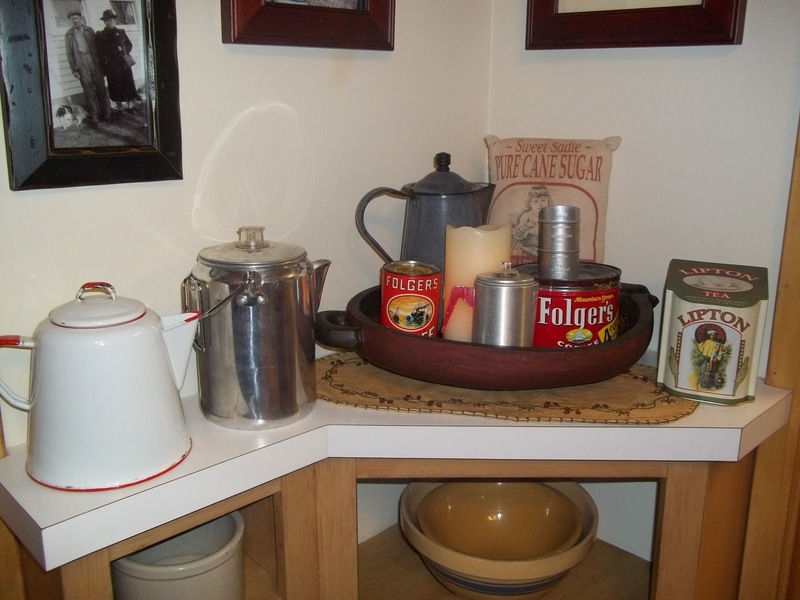 First I added a vintage child's coffeepot to the bowl vignette. 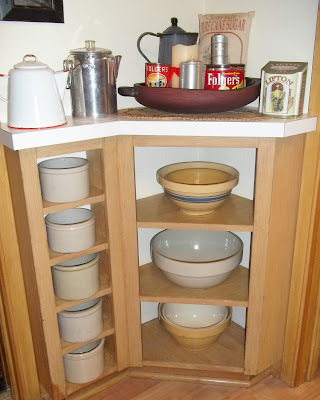 This vignette sits above my kitchen corner shelf that holds yellow ware bowls and crocks. It's fun to decorate with vintage collectibles. Don't you agree? Cute, cute! And love your yellow ware!! Yes, it is truly fun decorating vintage!! Just 'friended' you...drop by my blog for a visit soon...a gift-give-away going on!! Blessings for a happy new year!! Hi Carlene! I'm visiting from WOW. I adore vintage kitchen items, and you have displayed yours so creatively. I love your collection of crocks and yellow ware. Oh, I love vintage coffee pots. Very nice vignette. I'm visiting from Savvy Southern Style's link party. Thanks for looking at my coffee display! Yes, yes, I agree!!! This is just too cute!! 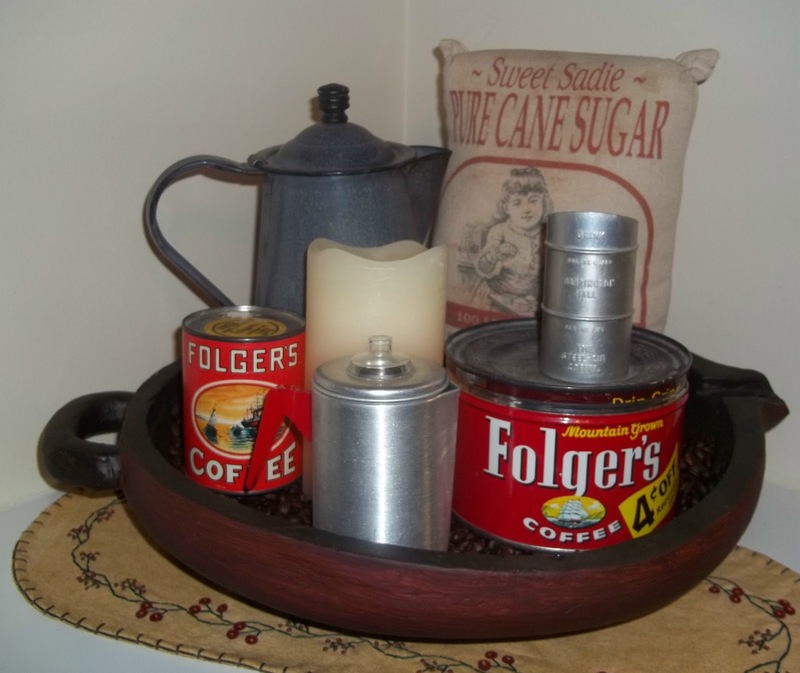 love your vintage coffee collectibles and they look so wonderful displayed that way. your coffee display is so cute, love all the elements together! Coffee is one of my faorite things,a back I did a fun post on coffee cups. What's a morning with out coffee! Love your coffee display! What's a morning without coffee! A while back I did a fun post on coffee cups, coffee is my favorite! Thanks for visiting!